Alexandru Dragomir | Institute of Philosophy "Alexandru Dragomir"
Until his death in 2002, Alexandru Dragomir was known only as a strange figure who moved more or less mysteriously in Roman­ian intellectual circles. Everything that was known of him came from those who actually met him, because Dragomir never wanted to make himself known. Indeed he had a sort of aversion towards the idea of becom­ing a public figure. It was known that back in the ’40s he had been a student of Heidegger’s, studying for a PhD degree in Freiburg. Those who had the chance to meet him during the last decades of his life said that he possessed a fabulous philosophical knowledge, that he was bril­liant as a thinker, and had an insightful and lively mind. However, what greatly intrigued those around him was the fact that he never cared to publish a single page in his life. He always said that publication was of no importance to him, and all he was interested in was understanding. Hence he constantly refused to enter the public sphere. Indeed no one knew if he ever wrote anything. Walter Biemel remembers that Heidegger highly appreciated Dragomir’s sharp intelligence. Alexandru Dragomir took part in Hei­degger’s seminars for advanced students and it is said that when the discussion came to a dead-end, Heidegger used to turn towards Dragomir asking: “Well, what do the Latins say?” At the end of 1943, Dragomir was forced to leave Freiburg and Heidegger’s seminars and to return to Romania for re­cruitment. It was wartime. Although Heidegger insistently demanded that he should continue his studies, Dragomir was enrolled in the army. Twenty years later, Heidegger still recalled Dragomir very well and was asking for news about him. In 1945, Romanian history took a terrible turn. The end of the Sec­ond World War unfortunately coincided with the establishment of communism in Romania. Dragomir found him­self confronted with the impossibility of continuing his studies with Heidegger. He quickly understood that his relationship with Germany could be a reason for political persecution and that his philosophical endeavours might very well result in his being imprisoned. Dragomir anticipated all this and understood that his life depended on being able to dissimulate his philosophical concerns and his connection with Ger­many. Continuously covering the traces of his past, Dragomir worked variously as a welder, a vendor, a clerk or an accountant; he kept hav­ing to change his job, as he was frequently as his inconvenient politi­cal file led to frequent dismissal. He finally managed to work, until his retirement in 1976, as an economist in a company exporting timber. Nothing related to philosophy. It might be tempting to say: “Behold a failed destiny!” But this would be far from the truth. For, in private, Dragomir never ceased to exercise his brilliant philosophical intelligence. For decades he lived a double life: his everyday social life on one hand and his life of solitary philosophical research on the other. He conti­nued to work upon the fundamental texts of philosophy in Greek, Latin, German, French and English. Even when the political climate became, to some extent, more permissive, Dragomir remained unwilling to write and publish, in spite of all the proposals he received. After 1985, how­ever, he agreed to make a “compromise” regarding the absolute silence of his philosophical activity: he decided to hold several private lectures and seminars, with Gabriel Liiceanu, Andrei Pleşu, Sorin Vieru and oth­er prominent Romanian intellectuals as audience. It is probably thanks only to this breach that we are able to speak today of Dragomir, thus saving his name from total oblivion. At that time, Dragomir’s inter­locutors – already well-known Romanian cultural personalities – were so amazed at his philosophical virtuosity, that they started recording and taking extended notes of his lectures. Dragomir’s name started to spread, as the “hidden king” of Romanian philosophy. 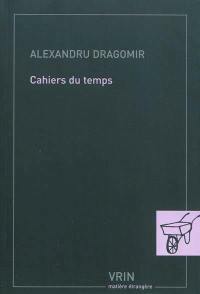 Dragomir could have remained for ever a brilliant Socratic spirit, with­out a real, transmissible philosophical work. But soon after his death in 2002, more than one hundred notebooks were found in his apartment, containing notes, commentaries on classic philosophical texts, essays of phenomenological research and analysis, and very precise and insightful philosophical descriptions. And what is even more important, many of them are original texts, which have turned him from a legend or a myth­ical figure of Romanian philosophy, into a philosopher whose work can be transmitted and shared. Most of these texts are phenomenological microanalyses or subtle and incisive clarifications of various concrete aspects of the world in which we live. One can find texts on the mir­ror, on forgetfulness, on error, on how things get worn out, on wak­ing up in the morning, on the spectrum of ugly and disgusting things, on attention, on making mistakes, on writing and speaking, on mak­ing distinctions among things, on being unique, and so on. There are very different and heterogeneous topics, as though Dragomir watched the diversity of the world through his acute phenomenological lens, for the sole purpose of his own desire to understand. His genius was to dis­cover within the banality of the everyday events of our lives, within the most concrete experiences we deal with daily, within those aspects which we deem to be the most self-evident and implicit, the profound layers of meaning and fundamental significance, which he then analyzed with a fascinating sharpness. 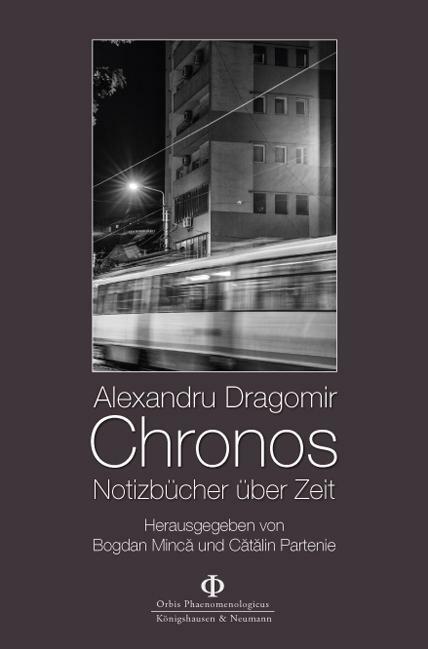 Yet, one topic remains constant: there are several notebooks, called Chronos, in which Dragomir thematically and systematically pursued the problem of time, over a period of several decades: the first notebook dates from 1948 and contains many notes written directly in German, while the last notebooks date from the ’80s and ’90s. It may be that the as yet unedited book on time will prove to represent Dragomir’s most important work. After the crucial discovery of Dragomir’s notebooks, it was possible to start recovering his work. Thus, the name of Alexandru Dragomir can be equated with several fundamental coordinates of the contemporary philosophical reflection, in its Continental orientation. First, he embodies a synchronizing moment of the Romanian philosophical thinking with a particular part of Western intellectual debate: formed at the phenomenological school of Martin Heidegger, Dragomir practiced – unknown by anyone – an applied research style on a variety of current topics,which finds today multiple echoes in several personalities of the European philosophical thought in the last decades, from Eugen Fink to Jan Patočka and Maurice Merleau-Ponty. In his philosophical interests, Dragomir was not content with simple exegetical considerations, but he was always aspiring to fulfill the desire of a real philosophical research. However, he did not neglect the relation with the tradition of the Western philosophy, his investigation being carried out through an ongoing hermeneutic dialogue – creator of meaning and not subservient – which the preceeding history. Through his thematics, he always tried to remove the philosophical thinking from the narrowness of the objective-scientific perspective, seeking to transform it into a tool of investigation of the most immediate horizons of everydayness and of the lived world, focusing on novel issues and also on immediate sides of human existence. Into the constellation of values seeks to settle our new Institute of Philosophy, assuming that such name of Alexander Dragomir. 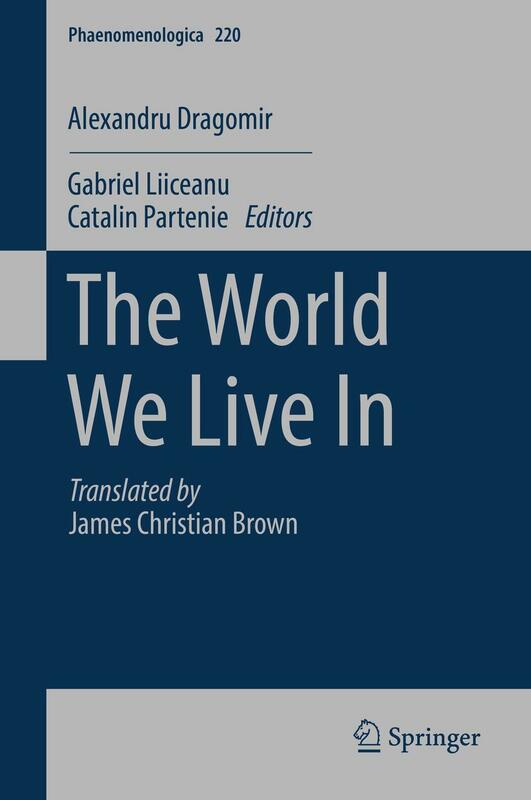 The World We Live In, translated by James Christian Brown, Springer, “Phaenomenologica”, 2016. Chronos. Notizbücher über Zeit. Übersetzt von Eveline Cioflec, Königshausen und Neumann, “Orbis Phaenomenologicus Quellen”, 2017.